Tickets are now available for Zaman's 12th Annual Community Iftar Dinner. 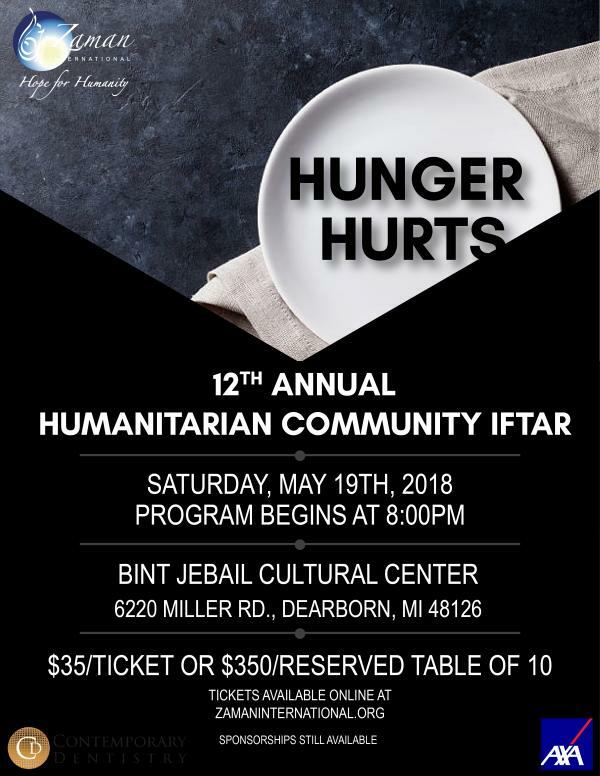 Join us on May 19th at 8:00 PM to alleviate the hurt that hunger causes within so many households experiencing food insecurity. Tickets are $35 each or $350 for a reserved table of ten.